This is a very highly rated craft brewery worldwide, and from all reports this porter is excellent. In the past I have had the pale ale, which was superb, so really high expectations for this beer. I like a Porter under the right conditions, normally they are perfect for after dinner. 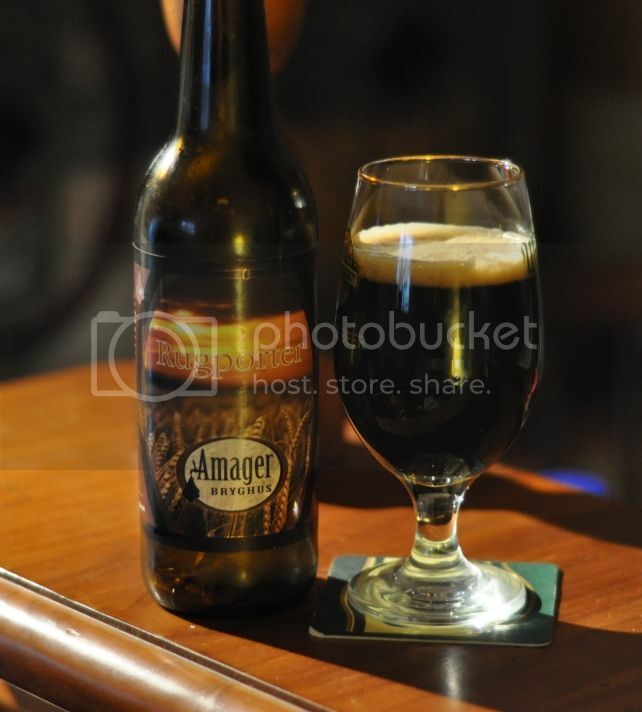 A Porter is a dark style beer which quite often tastes like a coffee or a liquer moreso than a beer. A very interesting style for those who haven't sampled one before. The colour is a very dark brown with an almost non-existant tan head. The head is made up of very large bubbles and is disappointing, even by Porter standards which are known for their lack of head. The colour however is perfect for the style, overall it seems quite thick and should hopefully lace well. This beer is very nice on the nose. It smells distinctly smokey, due to what I believe is roasted malt there is also a touch of something quintessentially Scandinavian. It's the darkness, the bleakness or the rusticity. It's thin and crisp, but also dark and redolent. It reminds me somewhat of over roasted coffee beans. It smells much lighter than it looks, I'm intrigued as to the taste of this brew. An amazingly complex brew! The taste is dark and chalky, with a big bitterness that comes across like that of an espresso. I like the roastiness that comes across in this really big Porter, combined with the lightness of body, which lulls you into the sense that you could drink quite a lot of these! It's really dark and roasted but the lightness in the mouth brings it all back together superbly! Overall this is a spectacular Porter! I haven't had enough Porter's to call myself an expert in the style, but I am pretty sure this is one of the best of them. Don't let the price put you off if you see this, (or any other beer from Amager) they are all superb! Despite my review saying you could drink quite a few, I wouldn't recommend doing it because although it is labelled 8.5% I think it's a fair bit higher. This is a must try if you enjoy dark beers or if you like a strong long black.